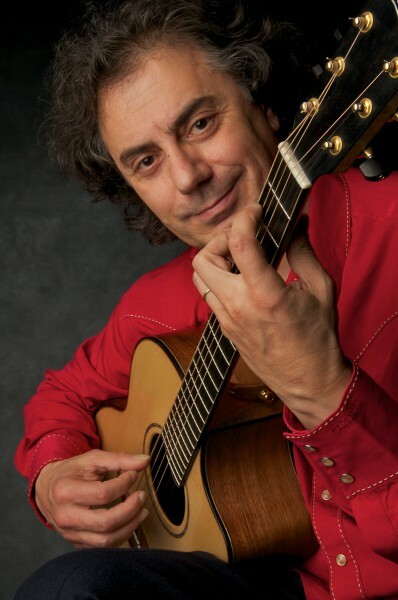 As a stop on his 40th Anniversary Tour, internationally known French-Algerian guitarist Pierre Bensusan will bring his engaging music to TCFA on April 23, in a two-part event. Bensusan will play in an evening concert, 7:30pm, in the conservatory auditorium. In the afternoon, 3:30pm, he will offer an exclusive workshop as well. Separate tickets are required for each event. Concert tickets ($20) are available at Good To Go in Trumansburg, at the Ithaca Guitar Works and online. Workshop tickets ($10), for which the supply is limited, are available online, and also by calling 607-387-5939 or e-mailing skl.tcfa@gmail.com.